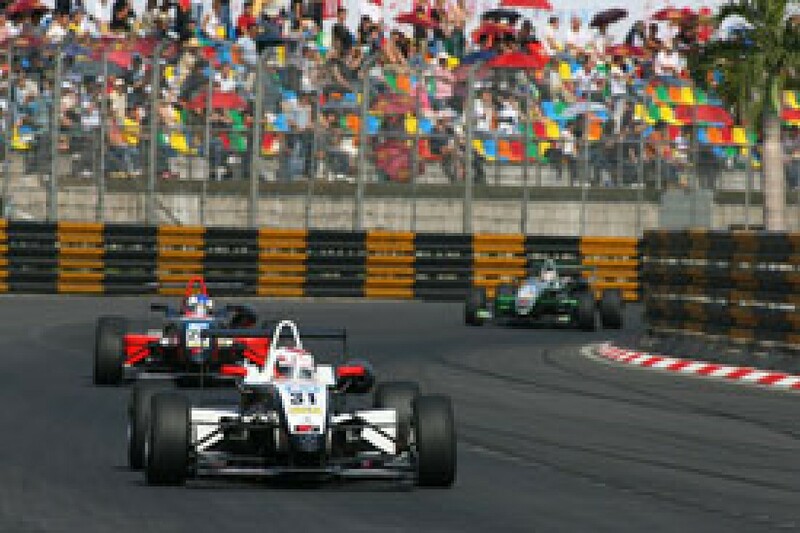 No other Formula 3 race has the heritage, allure or significance of the Macau Grand Prix - an annual showdown between the leading lights from the worldwide F3 series, held on a stunning street course that carves a sinuous path up and down a mountainside as well as providing dramatic wheel-to-wheel racing on the long, fast and wide pits section. With past winners including Ayrton Senna and Michael Schumacher, a Macau triumph is arguably worth more to a driver than a national championship title, and with no points at stake, the entrants know that victory is all that matters this weekend. But with the barriers never far away, it can be a very rapid journey from hero to zero at Macau. Autosport.com's comprehensive preview explains the challenge and atmosphere of Macau with the help of last year's winner Oliver Jarvis, highlights the main contenders in the 2008 field, and looks back at how recent Macau races unfolded. You can't believe how narrow and how quick in places it is as first. It's quite daunting in those early laps - it feels so quick, with the barriers that close, that you're almost shocked by it. But your confidence grows with every lap you complete without ending up in the barrier, and by the end of the first session you should be comfortable. It's one of the greatest tracks in the world, without a doubt. The whole week is a great experience. It really teaches you how to drive a racing car on the limit, and on a street circuit with no room for error. It really punishes scrappy drivers - you've got to be smooth and precise. The biggest tip I can give anyone is to stay out of the barriers in sessions one and two. Obviously you want to stay out of the barriers all the time, but track time in those early sessions is absolutely vital. If you crash in the first session, you lose confidence and track time, and your weekend is all but over - unless you're a second-year driver. If you hit the wall in final qualifying or the race, well that happens: you've got to push as hard as you can at that stage. But the early sessions are just there for you to learn the track and set the car up. Then you start to push more and by final qualifying you've really made the most of the track time available. Getting qualifying right is key. People think that a tow down the straight is most crucial, but I completely disagree with that. I think qualifying is all about the mountain section - putting all those corners together on one lap, early in the session, while the tyres are still with you. Sure, a tow is a massive bonus, but too many drivers spend the whole session looking for a tow and never get one, whereas I focused on my own thing. If you do a good enough job in the mountain, you will be up there. And you don't need to be on pole. Anybody in the top 10 can win Macau - it's the only time in Formula 3 that's the case. Too many people do too many stupid things at Macau. I was lucky I wasn't taken out at the start of the pre-final, which for me is crazy because it doesn't matter who wins that race. You don't need to be quickest in practice, you don't need to be on pole, you don't need to risk anything in the qualification race or the warm-up. Just get up front and stay out of trouble. The magic thing about Macau is that it's not necessarily the quickest guy who wins - it can also be the cleverest. The first kink is just a flat left, which is easy - you don't even need to think about it. The Mandarin corner is taken flat by everyone by lap three or four, but you have to be careful overtaking there. You can get two F3 cars through there flat but, as history shows, particularly at the start of races, it can end in a bad way. The approach to Lisboa is probably the quickest you'll ever see an F3 car go. It's a fairly straightforward corner, but the braking can be a big problem because you're going down from sixth to second with so little downforce that the car moves around a lot, and it's very easy to lock up and go straight on. There's a lot of time to be found by being confident and hitting the brakes late and hard. There's a big kerb on the inside that you need to get as close to as possible, but not hit, and it can surprise you how quickly the wall comes on the exit. San Francisco Hill is quite a wide corner by Macau standards, but it tightens up on the exit as the wall comes in and it's easy to try to carry too much speed. Then you go up the hill, and there's quite a tight left before Maternity Bend, but there's a slight right where you want to be braking for it. At first it's very difficult to pick a point to brake because you want to try to get the car as straight as possible. You have to get as close as you can to the barrier on the right to brake, but as the weekend goes on and the track gets quicker you can almost brake after the right. Once you've got the car slowed for the extremely tight left-right section, you've still got to get the line right. If you miss the left, the wall really tightens on the exit - I had quite a large accident there in my first year at Macau. Then it's straight into the second-gear right, which is quite simple - you just have to get as close to the wall as you dare. You drop down the hill into the mountain section and a reasonably quick left-hand corner. You just have to get the car into the apex and carry as much speed as possible. That's followed by quite a fast right, and there could be a difference in gears here depending on how each team sets the ratios. The next section is extremely quick - flat for most drivers - but it's very narrow with absolutely no room for error. That leads into a left, which is quite similar to the previous one. In fact, there are three quite similar-looking lefts that are easy to confuse as a first-year driver, but there's a big difference in speed so you've got to learn quickly. There's another quick section before you drop down to a second-gear right (Moorish Hill). It's extremely bumpy in the braking zone and you'll see over the weekend that a lot of drivers try to brake too late, and lose the car on the bumps and go straight into the barrier. It's important not to try to brake too late - the time at this corner is found through keeping the speed up and being quickly onto the power at the exit. You've got to be brave on the brakes, but it's a place to build up gradually over the weekend. The other right is uphill and very narrow, where you just clip the barriers on the inside and exit. Then it drops downhill quickly to a second-gear left - the third of the three similar-looking lefts. It's quite a long corner and it's cambered nicely so you want to get as close in to the barrier as possible. You can also pick up the power quite early because of the camber. to brake as late as you can and get as far over to the left as possible because there's only one line there - you're on full lock. There's no way you can pass here; you physically couldn't get two cars round. It's easy to turn in too early and clip the barrier with the right rear. Then halfway round the track drops away downhill and your right front is off the ground. As you get on the power, the rear snaps and the car almost jumps around the apex for you. It's probably one of the strangest corners you'll ever do in a racing car. There is a lot of time to be made and lost there, too, because the speed is so low the slightest difference can mean two or three tenths. There's always a bit of wheelspin on the exit because you're getting on the power in first gear. The track then drops downhill to a gentle left-right that's very easy flat, then all that's left is the last two corners. They're hugely important and both quick. They get quicker and quicker as the weekend goes on, but there's no room for error because they're so fast. The first, Fisherman's Bend, is very bumpy under braking and if you get even slightly off line you'll end up in the barrier. You want to turn in a little bit earlier than most people think and get the car as close as you can to the barrier on the right, then let it run out on the exit. There's a short straight before Curva R, which is the quickest real non-flat corner on the track. It's absolutely critical. If you can come out of it with even two or three km/h more, you can prevent the cars behind overtaking and get a much better chance of overtaking the car in front of you. You have to carry as much speed into the apex as you dare, and it gets quicker with every session. But a lot of drivers carry too much speed in, miss the apex and before they know it they're in the wall. Then you have to try not to get on the power too aggressively because, with so little wing, the car will really move around. Sensational rookie burst into life mid-season in Euro Series. Has form in one-off F3 events already, after winning the Masters at Zolder earlier this year. In the best form of anyone after three successive wins at the end of the year saw him clinch the British title. Has also proved that he's quick to adapt to new circuits. Early-season form faded as VW struggled to keep pace with Mercedes. Has street form with a win at Pau, and knows Macau after finishing 10th last year. One-off format could suit his super-aggressive approach. 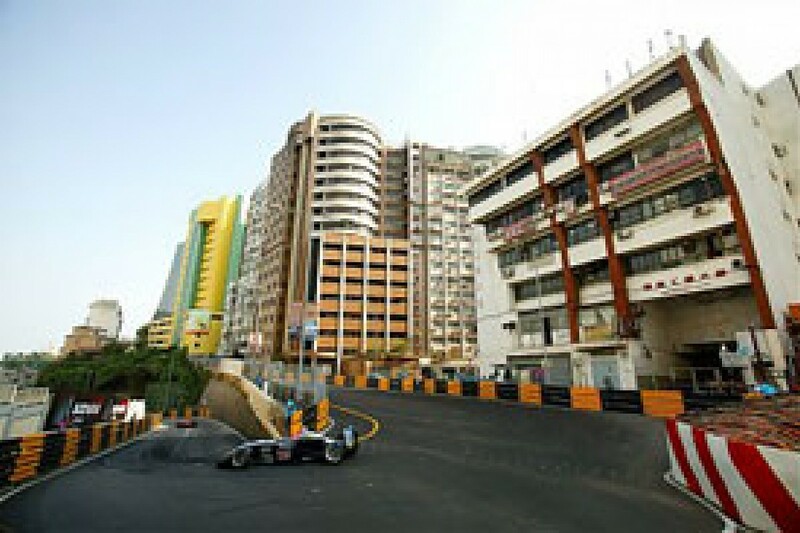 Proved his ability on street circuits in Bucharest, but Macau is dangerous for drivers with a reputation for the odd crash. Finn has shown speed in the Euro Series with Mucke's Dallara-Merc. But will have to start afresh at Macau and get used to working with a new team and a new engine. Desperate to take some silverware after missing out on the British title. Mature approach will serve him well, but he'll need to unlock the speed he found at Spa and Silverstone. Has a good record at Macau: was sixth last year. Had a disappointing season but still showed flashes of great speed. He could be another suited to an all-or-nothing event. Frequently at the top of the times this year but couldn't grab victory. Hoping switch to Carlin helps all fall into place for his maiden win to be in the biggest F3 race of them all. On podium last year with Toyota. The former Japanese champion will be determined to post a good result after a largely dismal year learning the European tracks. This year's Japanese F3 champion will be in the hunt if the Toyota engine is as good as it was in 2007. He's another with circuit knowledge and could be a good outside bet.